Parliament has appointed new members to the FIIA Board for 2015-2019. The Board, in turn, has appointed the Scientific Advisory Council for 2015-2017. 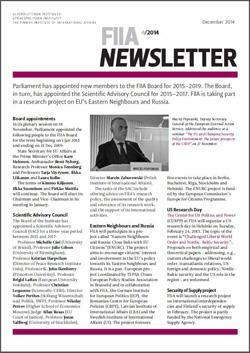 FIIA is taking part in a research project on EU’s Eastern Neighbours and Russia.